During the implementation of the Program of Social and Economic Development of Turkmenistan for 2019-2025, the total foreign trade of the country will be $135.2 billion, Trend reports referring to the State News Agency of Turkmenistan. So, the export component will be $84.1 billion, while the import component will reach $51.1 billion, the report said. 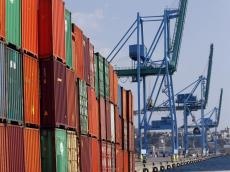 The volume of Turkmenistan's exports in 2018 exceeded $11.2 billion. Turkmenistan aims at diversifying the local economy, the petroleum, textiles have advanced, the oil, gas and chemical industry and the building materials industry are actively developing. Turkmenistan is pursuing industrialization aimed at increasing the volume of production of import-substituting products and export development.